Help performance marketers automate their work process and get the best profit with amazing smart features. 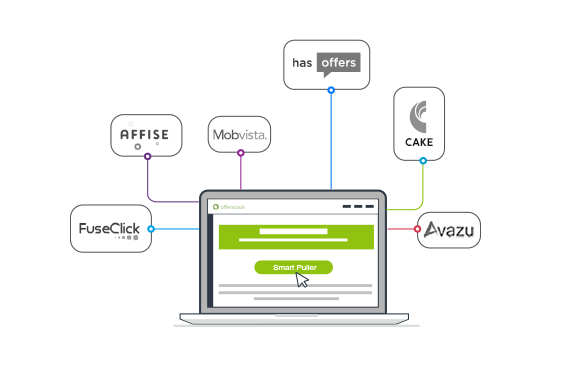 Automatically grab as many offers from advertisers just by a few clicks. Only API Key and network name of the source system is required. No coding, no development cost. Enjoy a free way to transfer your offers and no need to worry any errors and boring manually routine work. Create a single link for all offers dynamically direct users to the best offers that could maximize your ROI. 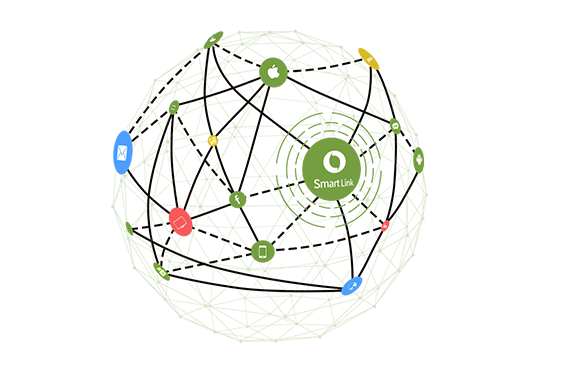 Giving the best possible experience by displaying the most suitable ads to users based on their device,GEO,and etc. Providing deep insights into the health and performance of your Ads campaigns，alert the abnormal issues in real time during your business process. 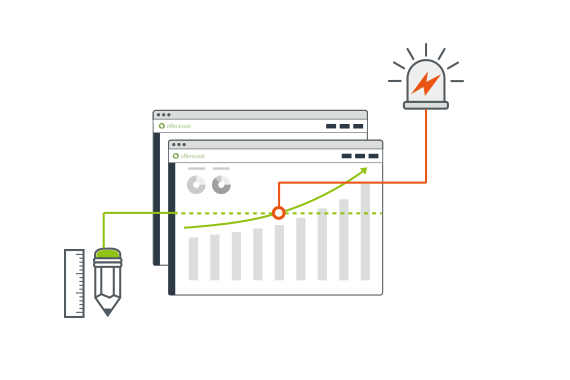 Further customize your alerts for the metrics that meet your goal, including CR, postback, unique clicks and etc. Automatically handle the abnormal issues when the alert is triggered based on your setting. Offerslook scales with you. We offer a wide range of affiliate network management tools for businesses of all sizes. Pay only for conversions, and get unlimited clicks. Drive down cost by 70+%. Create and send emails to your affiliates, advertisers and employees. Make it your own platform. Take advantage of our customization tools to make it reflect your unique brand and theme. 3 levels of redirections to ensure every click matches an offer at 99% chance. Reduce waste of traffic and increase ROI with affiliates. Not only provides tracking of clicks and conversions, but also ad impression tracking as well. An impression tracking allows to have a full representation of campaign and partner performance. FraudScore has shown its best in fraud detection which enables you to increase payouts for real traffic and stay ahead of the competition. As a AWS SaaS Partner, Offerslook work closely with AWS to provide the most efficient and stable platform for customers. We can have 99.99% uptime around the globe. Our dedicated clusters on cloud can auto-scale to full-fill your traffic needs and be available during high traffic spikes. gaining valuable insights into the channels and hence greatly increase their business ROI. We've been using Offerslook for over one year, and it will definitely become a big player in affiliate marketing industry. Offerslook gives all the essential features and most importantly, their customer service is superb. Offerslook is a great partner to work with on global advertising, it impressed me with its service and function to build the campaign easily. It's really a wise choice to use them when you start your business. It's a great product as well as their great support team. With Offerslook, we are easy to integrate with all other tracking software. Its conversion-based pricing helped us to save a great deal of costs and increase our margin. Using the Offerslook platform allows us to efficiently manage our platform, campaigns and publishers in real time. With the all-in-one dashboard and customized reports, we are empowered to make instant and wise decisions, hence generating better ROI. Offerslook delivers on every front. Flexible pricing model, extremely responsive support and a constantly developing stable platform. We had ZERO downtime so far for multiple times cheaper $/click than any other competitor on the market. extending the power of Offerslook to more tools/platforms your team uses to manage a more efficient network. Get 1 month free trial with unlimited clicks.